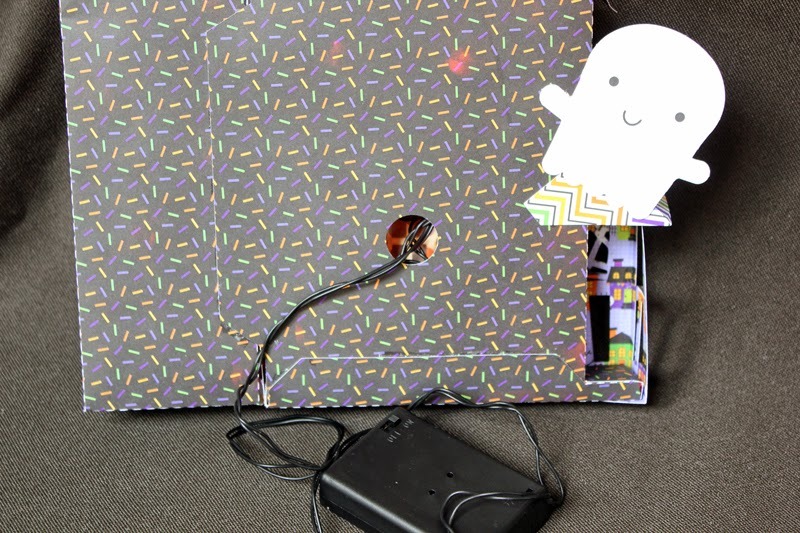 We have a couple of really fun HAUNTED HOUSE projects to share with you. 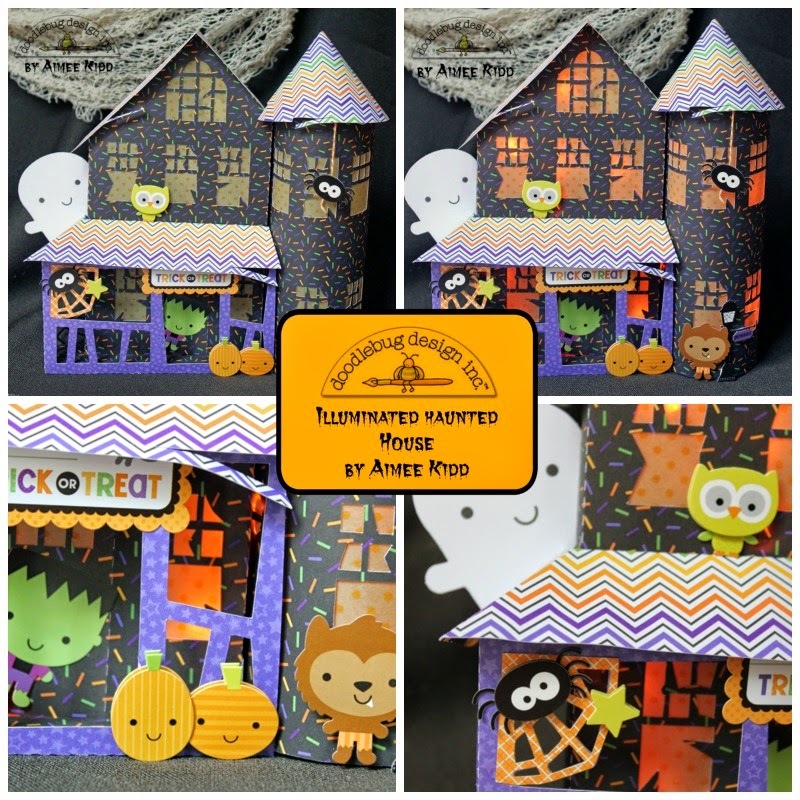 The first by Aimee Kidd is a fun illuminated 3D Haunted House and the second is from one of our non-Halloween celebrating team members, Sharm (yep they don't celebrate it in Malaysia). Hello Doodlebug friends! 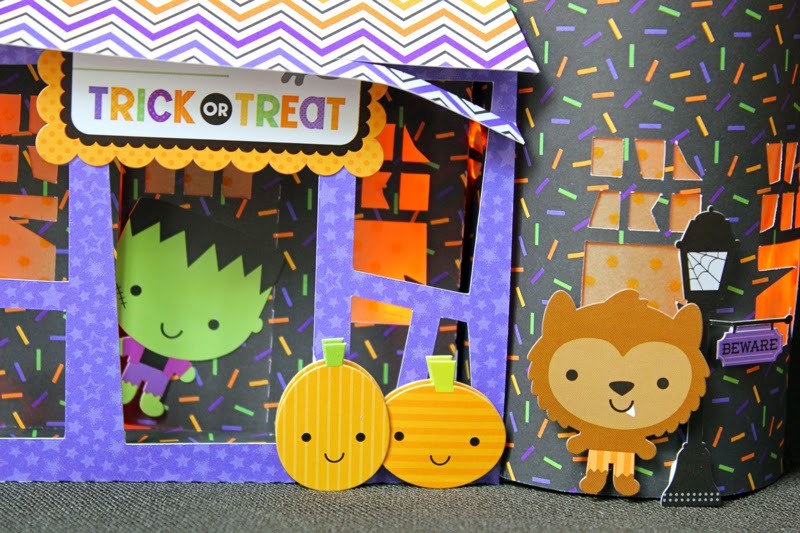 Aimee here with you to share my illuminated haunted house created with the new Ghouls and Goodies! LIGHTS ON!! 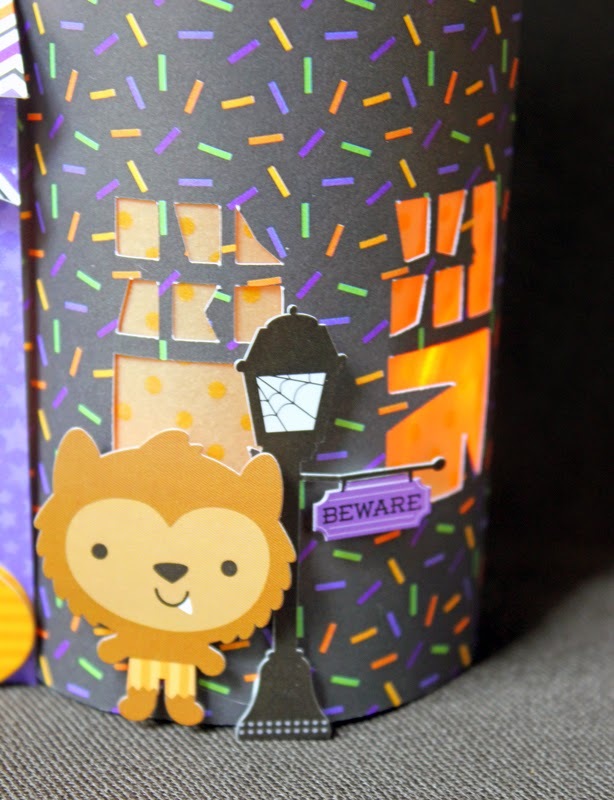 How great would it be to have this little cutie as part of your Halloween display?!?! 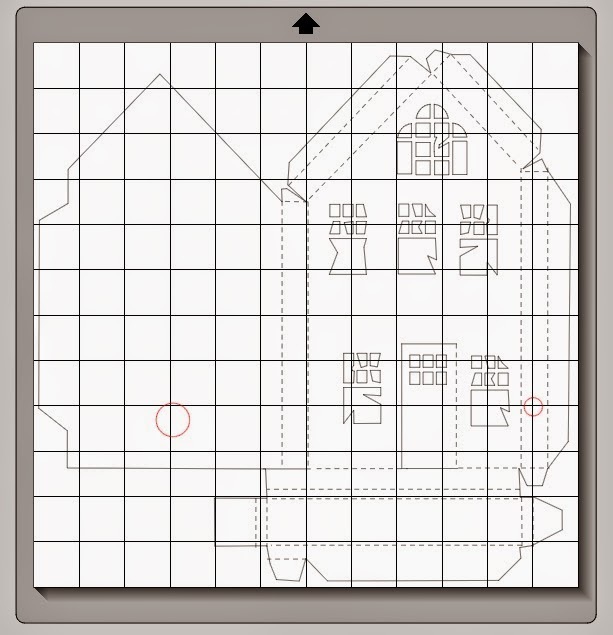 I used the 3-D Haunted Mansion from the Silhouette Studio store. (The original cut doesn't have holes to thread lights inside but I will offer some directions down at the bottom of my post.) Once I had it put together I used all of the wonderful embellishments to decorate it! 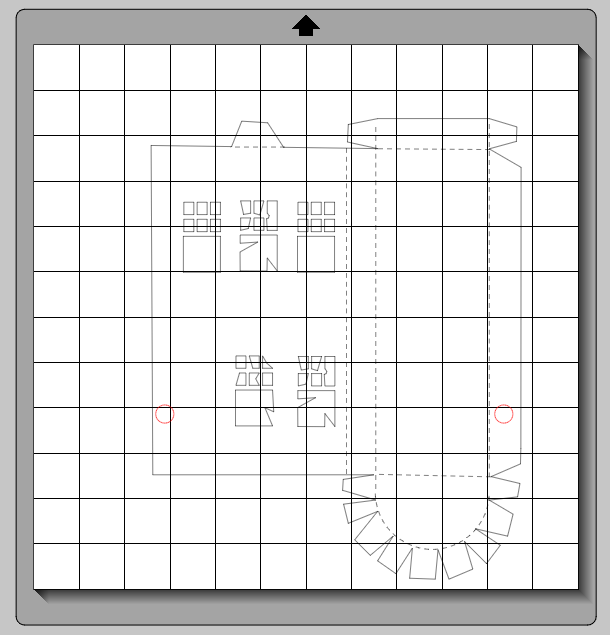 Directions for adding lights: Once I had the main cut up in the Silhouette Studio drawing area, I added a circle to the back of the main house area and three more going from the house into the tower. The red circles in the pictures below are the circles you will have add. Before I had the two areas adhered together I thread the lights to the inside of the house/tower and taped them down to the back walls. Then I adhered the house together and decorated it. I had so much fun creating this and hope you give it a try too! Hello there Doodlebug fans!! I've something to share with you today in conjunction with the upcoming Halloween celebration. It's nothing but a deco piece that is super easy and fun to make! Now, no matter how 'scary' a celebration Halloween is supposed to be, Doodlebug's super cute line for this Halloween is much too adorable. It's a pity we don't celebrate Halloween here in Malaysia but I still had a ball creating so many projects with my stash! 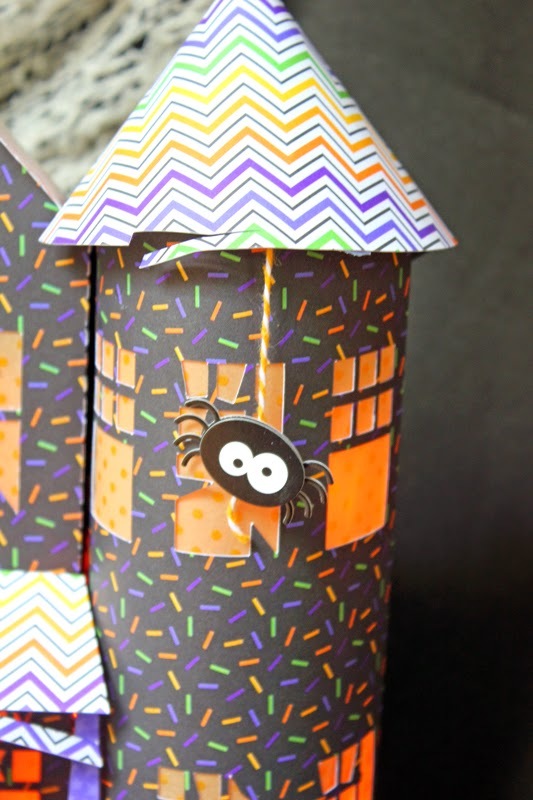 SUPER CUTE and BOO-tiful haunted houses!!! These are just adorable ladies!!! Oh my goodness! This is way too cute!!! How adorable! I'm blown away by the creativity! Super cute as always from the lovely doodlebug design team members. I also pinned. 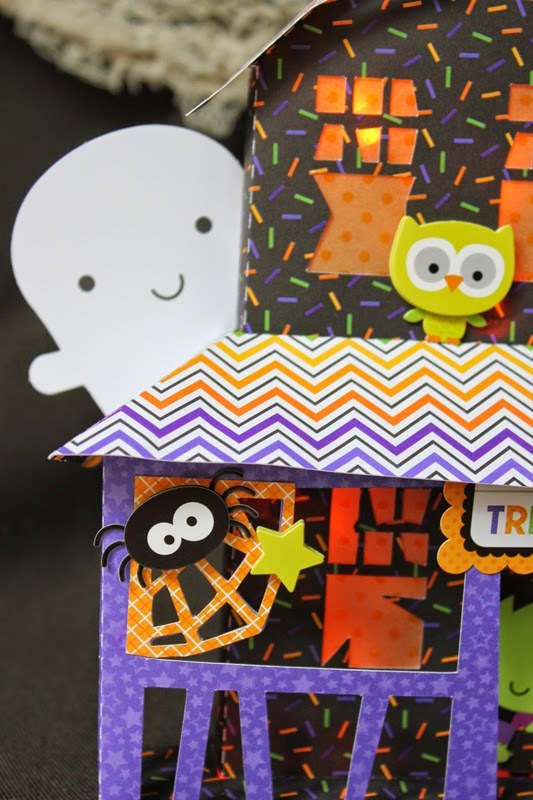 Wow, this haunted house is super cute! Thanks for the inspiration. I shared today's post on Facebook! 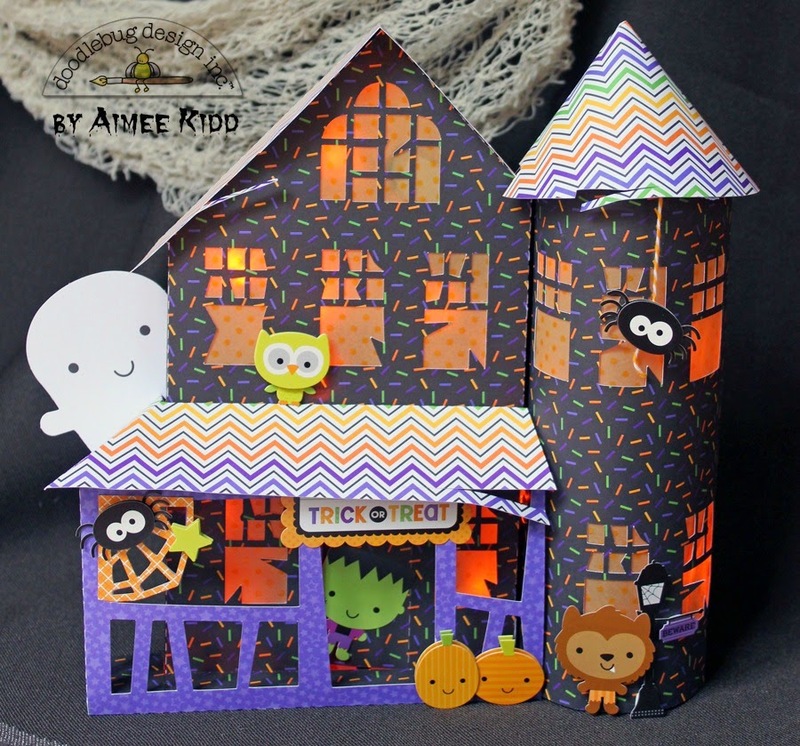 I pinned it to my Halloween paper craft projects board on Pinterest! 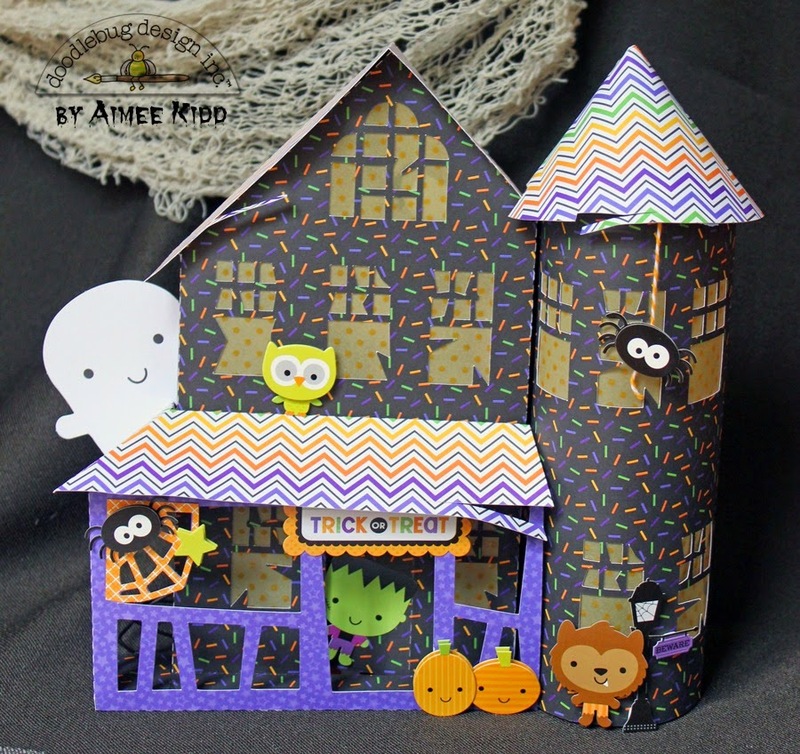 And pinnened the second cute haunted house by Sharm also to my Halloween paper craft projects board! These are both super cute! Great projects!!! Awesome haunted houses!! Love the added lights. Spooktacular! These are such cute haunted houses! These are just fabulously cute and cool!! Too cool! Way to rock the newest Doodlebug Collection - you have amazed ans astonished me at this utter creativity!! I pinned both of these gorgeous projects.